Here's a tasty way to start your afternoon. An ideal aperitif though I couldn't sit down and have a sesh with these. They are more rustic than gluggable and certainly a far cry from the sugar laden crap made from concentrate that's for sure. 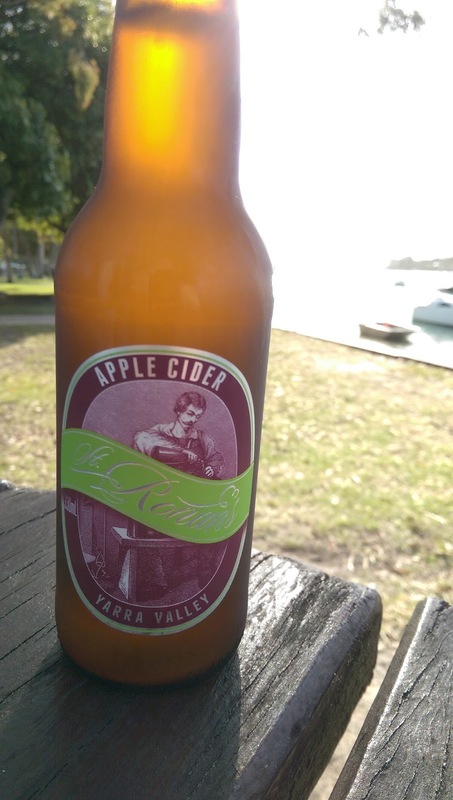 And that's what sets it apart from other ciders out there. There's plenty to chew on and think about. Real cider made from real apples sums up where maker Troy Jones is coming from here. Tastes skinsy and yeasty. It's dry but a touch of sweetness lobs up at the finish. Textural, there's poached apple and canned apple washing about. It has a red apple skin taste too though Jones tells me he used a number of varieties some of which are red. Doesn't matter anyway really coz I like what it is. Give me one or two watching the sunset.